The familiar story of Irish migration to eighteenth and nineteenth-century London is one of severe poverty, hardship and marginalization. This book explores a very different set of Irish encounters with the metropolis by reconstructing the lives, experiences and activities of middle-class migrants. Detailed case studies of law students, lawyers and merchants show that these more prosperous migrants depended on Irish connections to overcome the ordinary challenges of day-to-day life. In contrast to previous scholarly assumptions that middle-class migrants assimilated completely to English cultural and social norms, this book emphasizes the possibilities rather than the limits of Irishness and argues that Irish identity had a unique, operative value of its own, for which there was no substitute. Guided by recent works that stress the capacity of communities to operate across space rather than being anchored to specific places such as the street, neighbourhood or village, Irish London argues that the middle-class migrant’s frame of reference went far beyond the metropolis. The three case studies in this book focus on Irish lives in the city, but also follow migrants further afield—more specifically to Jamaica and India— to explore what middle-class communities were, how they worked and who belonged to them. By doing so, this study seeks to move us towards a better understanding of what it meant to be a middle-class Irish migrant in the global eighteenth century. 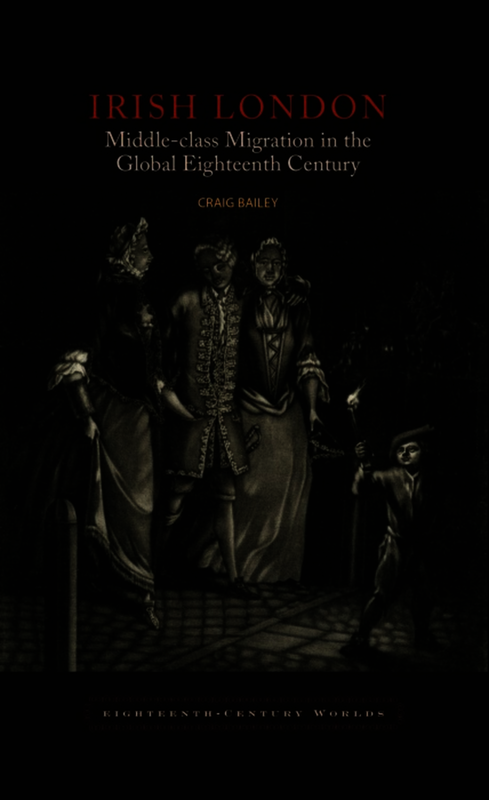 • Opens up a new dimension of migration to eighteenth-century London. • Broadens our understanding of the middle class during its formative stages in Britain. • Shows that the Irish encounter with the metropolis in the eighteenth century was not characterized exclusively by poverty and marginalization. • Combines quantitative and qualitative analyses of an extensive amount of previously unused source material to reconstruct the live and activities of middle migrants in London. … a very valuable contribution to the field and one deserving of consideration by historians of Britain, Ireland, and the British Empire as well as by those interested in the intersections between migration, trade, and ethnic identity. Craig Bailey is Associate Professor at Villanova University, USA.